Gary Sun did his thing with precision every time. And for every single model he had sit on that chair, it was always unique and surprisingly fitted the person’s general look. He was there for hours on end. For a while, I thought, “isn’t he having a bathroom break, at least.” Gary Sun is so good, that’s one thing for sure. The dedication and the focus. Two things that’s hard not to notice. It is definitely more than just his pneumatic tools of his trade. He has gained such skill throughout these years! 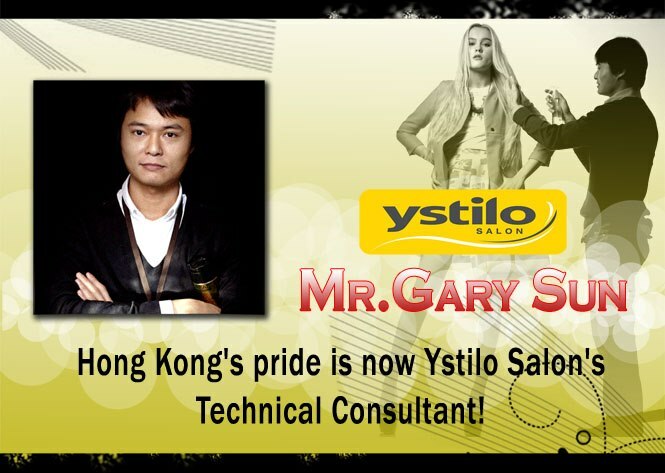 It’s impressive how Ystilo Salon is leveling up through the addition of Gary Sun now being Ystilo’s Technical Consultant. I can only wish I had decent pictures of the after product of Gary Sun’s hairstyling demonstration that day. The models walked the runway way too fast. Meanwhile, above is a photo of us bloggers with the super friendly, Vina Morales and her cutie patootsie, pretty Ceana. I wish I could have my hair cut by Gary. I haven’t had a good hair cut since the parlor I used to go shut down. ang cute ni vina and her daughter! And cute nyo din nila Iris at Mauie, terno! 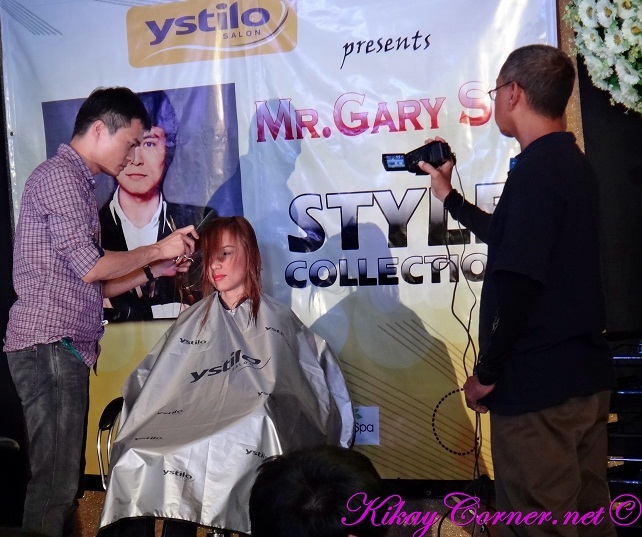 With Mr. Gary Sun as the technical consultant of Ystilo, I’m sure this will mean more customers for Vina’s salon.